Printemps celebrates the French Way of Life by paying homage to the four of the most legendary Parisian hotels. The 150 years old French department store immerses you in the opulent world of Parisian palaces by dressing up its window displays to allow visitors to discover a world of exceptions from July 16 to August 22. The flagship Printemps store, located on Boulevard Haussmann, has its window displays designed by renowned British photographer Steve Hiett. He has captured the essence of four legendary Parisian luxury hotels: Le Bristol Paris, Le Meurice, Hôtel Plaza Athénée and Le Royal Monceau-Raffles Paris. The windows feature a bold display enhanced by the silhouettes of nine prestigious brands like Alberta Ferretti, Alexandre Vauthier, Burberry, Elie Saab, Roberto Cavalli, Lanvin, The Row, Sonia Rykiel and Thierry Mugler. For Printemps Palace campaign, Steve Hiett captured the models wearing creations from the luxury brands at all four hotels. The one-off pictures are displayed in large frames within the store’s windows. Mannequins wearing coordinating outfits and apparel and accessories arranged on trolleys complete the hotel-theme windows. 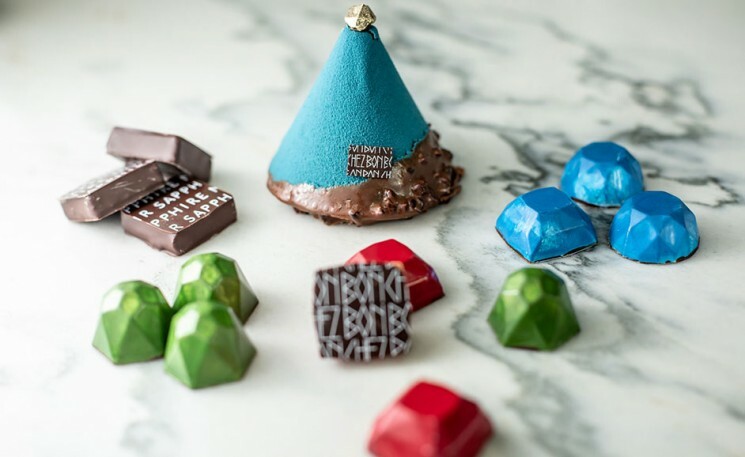 La Maison du Chocolat has also created a unique concept exclusively for Printemps: Les Evasions Gourmandes (Gourmet Escapes). Like the personalized services provided in the best luxury hotels, Printemps Haussmann has created for its clientele a range of refined and efficient services, ever more fashionable and exclusive.